A childbirth educator is a professional who you can trust to give you a balanced view on the reality of pregnancy and labour. Her teaching philosophy should be “freedom of choice based on the knowledge of alternatives” – telling you the facts, pros and cons for everything you might come across in labour so you can make informed decisions. Every pregnancy and birth is special and unique, so it is important you don’t try to take advice from everybody who has ever been pregnant and go by their comments. Every person’s pregnancy and labour is different so you need to be taught the facts about the subject. That is why it is essential that your childbirth educator has a medical background, that she understands the birthing process and has actually delivered babies. Most childbirth educators are nursing sisters and midwives, some have even gone on to specialize in childbirth education. A midwife has delivered babies, she understands labour. Hopefully she is a mother herself and has the balance in her teaching between what the text book teaches and the reality of the experience, drawing from her knowledge and her expertise. Classes should be geared not only to pregnant moms but the partners as well. She is there to impart information as well as skills that benefit your labour. She is there to help improve the communication between you and your caregiver, giving you advice to enable you to have the birthing experience you desire. Is she a mother herself? What are her ideals for labour – do they match your ideals and expectations (desires) for your labour? Do partners attend all the classes or only a select few? Are there practical sessions on breathing, positions for labour, massage, relaxation and visualisation? Which birthing methods are included in her course? 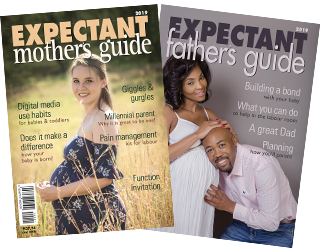 The childbirth educator – a person you cannot possibly be without during your pregnancy – make sure you find your childbirth educator today – what a benefit she will be to you! Consult the directory from page 49.